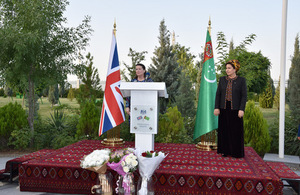 Her Majesty´s Ambassador to Turkmenistan, Thorda Abbott-Watt writes about the 25th anniversary of British and Turkmenistan diplomatic relations. 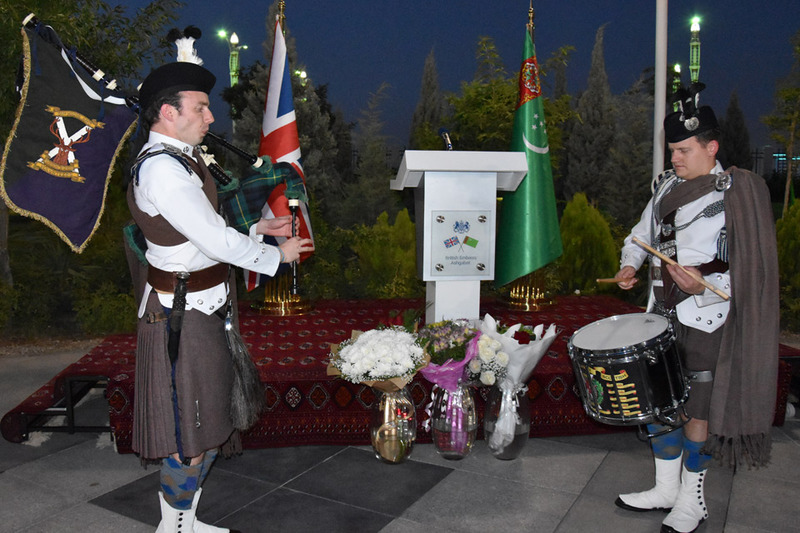 This year marks the 25th anniversary of diplomatic relations between the United Kingdom and Turkmenistan. This does not mean that we first discovered Turkmenistan only a quarter of a century ago. Britain is a nation of explorers, and my predecessors have been travelling in Central Asia for centuries, with or without the approval of those whose countries we passed through. We now have better manners, and I am able to say that I am here with the full approval of your President and that I have been received by your Ministers with friendship and courtesy. These last weeks have been difficult ones for Britain. We have sustained three terrorist attacks in three months. We have deeply appreciated your sympathy and support, shown first by President Berdimuhamedov, who wrote personally to The Queen and to the Prime Minister, but also by our friends and colleagues here and by ordinary Turkmen who have contacted us to offer their condolences to the family and friends of the victims. We have all valued the hand of friendship extended to us at a time of sadness. We realise our good fortune in the rights and freedoms we enjoy in Britain. They are basic to our sense of who we are. We are determined to defend them. Attacks against people going about their daily lives will only make us more vigilant. The protection of these same basic freedoms and rights was incorporated into Turkmenistan’s new constitution last year. The appointment of Turkmenistan’s first Human Rights Ombudsman demonstrates that you are serious about this. It is, of course, a matter for Turkmenistan, but Britain endorses the support the United Nations and others are offering Turkmenistan to implement in full the rights envisaged in the new constitution. Sir Simon McDonald, our Permanent Under Secretary of State and Britain’s most senior diplomat, visited Ashgabat last month. Following a round table discussion on regional issues with the Foreign Minister he called on Mrs Gurbannazarova. He was the first senior foreign visitor to meet her, and used the opportunity both to offer his congratulations on her appointment and, drawing Britain’s longstanding experience and expertise in the field of human rights, to offer UK support as she establishes her office and sets her priorities. Baroness Nicholson, the Prime Minister’s Trade Envoy, also visited Ashgabat earlier this year to discuss a range of commercial issues and to underline our continued interest in doing business with Turkmenistan. Her visit was followed by a visit to the City of London by a delegation from the Turkmenistan Ministry of Finance to introduce our financial services sector. The year ahead will see us consolidate and take forward the relationship between our two countries. We especially look forward to the Asian Indoor and Martial Arts Games in Ashgabat in September. Although we are not a competing nation, it is a matter of pride to us that a British company has been involved in the organisation of such a significant event. We hope in the coming year to broaden and deepen our links in a number of sectors, including gas, education and financial services. We look forward to hosting the Turkmenistan-United Kingdom Trade and Industry Council meeting in London early in 2018. Personally, I look forward to getting out from behind my desk and travelling to the welayats over the coming year. Turkmenistan is a modern state, but an ancient country, and there is much here of interest. And I will of course be cheering for Wepaly in September.